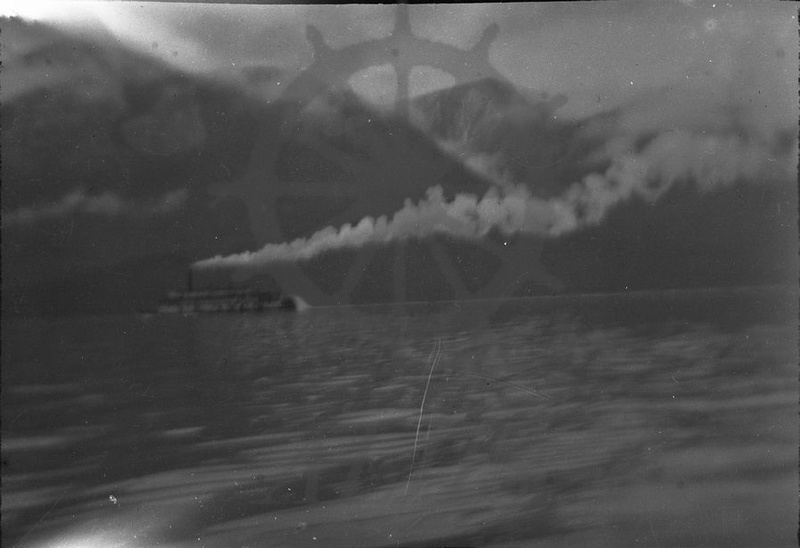 SS Minto sailing on The Narrows, Columbia River, as seen from West Demars, ca. 1910s-1920s. Scalping Knife Mountain in background.